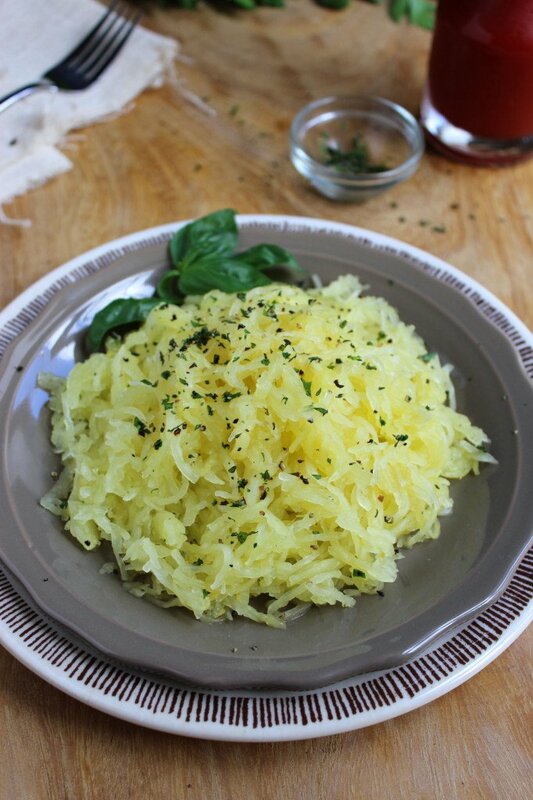 The first time we tried to make spaghetti squash, it didn’t go so well. In total newb fashion, we cooked the entire squash for an hour and fork-tested it for doneness. Have you ever tried to cut a freshly baked squash in half? If you haven’t, let us save you the trouble: it is not fun and not necessary. 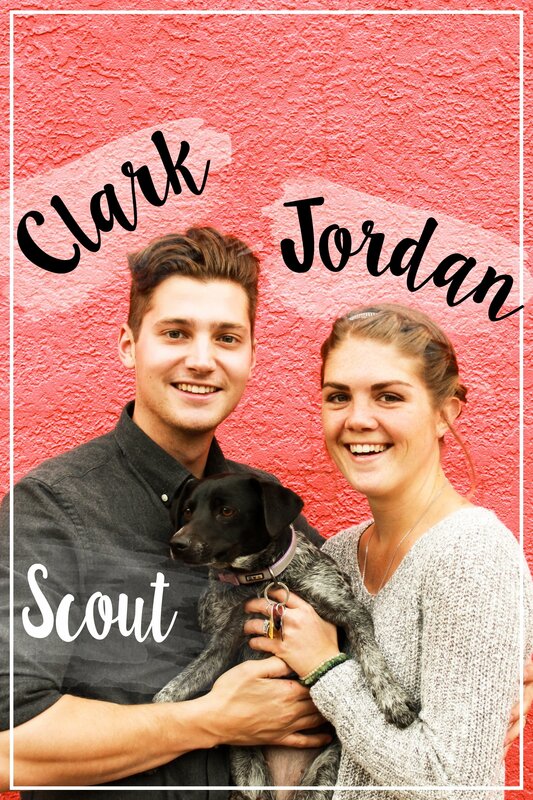 Fast forward to last weekend: we snagged a choice specimen on Friday afternoon and it was the first thing on Saturday’s agenda. We cut the squash in half before we baked it, which worked out much, much better. But when it came out of the oven and we tasted it, the plans changed. No sauce necessary. The flavor of this squash is so unbelievably delicious on its own. I would describe it as buttery and slightly sweet; much more flavorful than regular noodles. It is perfectly complemented by a hint of sea salt and black pepper and a dusting of basil, rosemary, or thyme. Cooking it whole wasn’t the only mistake that we made the first time we attempted spaghetti squash. After eventually getting the damn thing open and melting a few fingerprints in the process, we scooped out the center and started trying to fork away at the sides to get the “pasta.” That didn’t work so well. It just started coming apart in chunks instead of the ideal strands. By that point, we were already burnt-fingered and frustrated so we just gave up. If we had just popped it back into the oven to bake a little longer, it would have come out just fine. I’m currently enjoying a bowl of hot spaghetti squash pasta and patting us on the back for trying it again after last year’s complete failure. Now that we know how to cook it and how delicious it is, it has secured a spot in my list of favorite fall foods which, as of now, includes brussels sprouts, okra, apples, and spaghetti squash. For the record, we tried a small bowl with marinara pasta sauce and one with olive oil just to make sure we weren’t missing out on anything. The plain jane version still wins. Note: At the center is a pocket of seeds and looser flesh, similar to the inside of a pumpkin. That’s not what you want to eat. 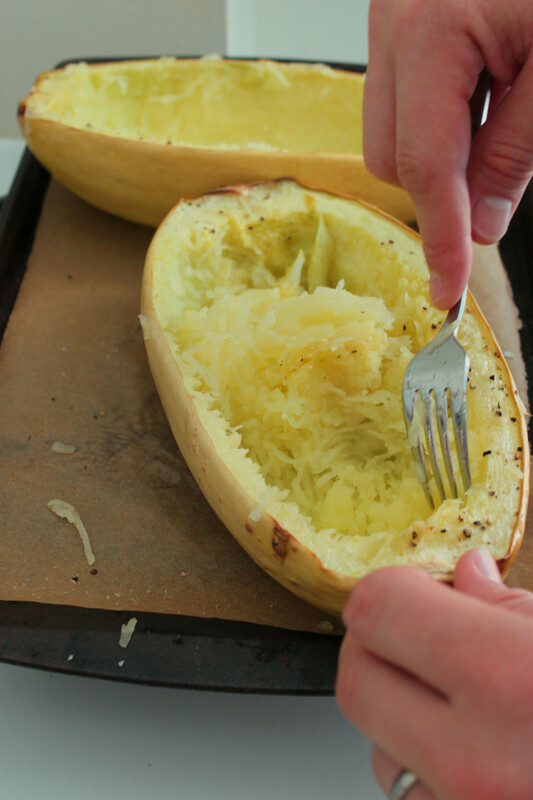 When you cut the squash in half before baking, use a spoon to hollow out this area. If you’re feeling ambitious, save the seeds and roast them later. They make a tasty and super nutritious snack. Hands down – this is the easiest way to enjoy one of fall’s best squashes. Swap regular pasta out for this healthier version! This turned out really well in the end, but I had to roast the squash about 20-30 minutes longer than instructed. The squash should only have a slightly crunchy texture when done. It doesn’t really have the texture of spaghetti, but almost the flavour (slightly nutty), and like good pasta it absorbs the flavour of whatever you put on it. We ate it with my homemade marinara sauce, and even my picky teen enjoyed it. Definitely a keeper! Interesting… I wonder if you had a bigger squash that what I used, or if yours was more/less ripe. Either way, glad you enjoyed! Looks good & seems simple enough. Can’t wait to try it. The exterior of the spaghetti squash will be rather firm. The interior should be fork tender and easy to scrape away from the edges using a fork. 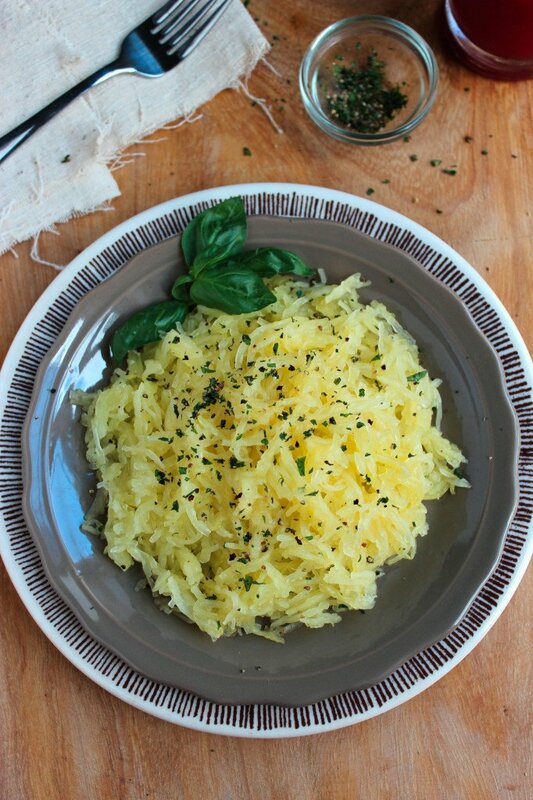 A large spaghetti squash will definitely take quite a while! 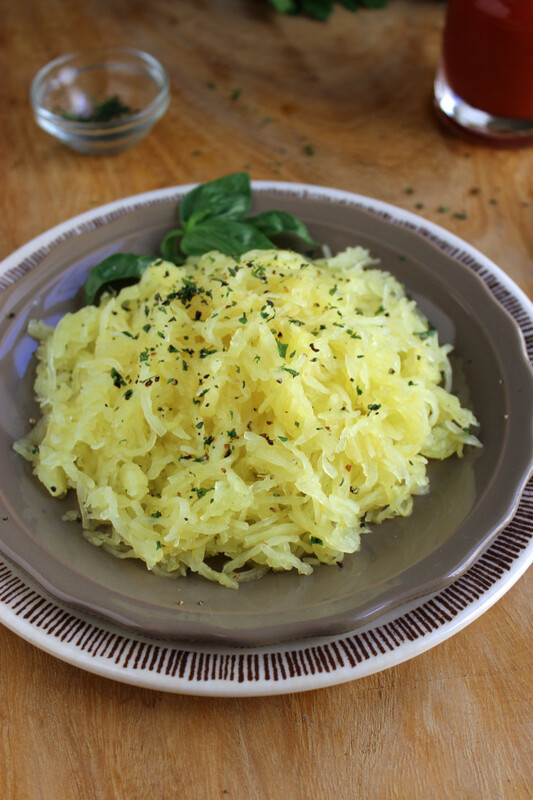 This was my first attempt at spaghetti squash, never even tasted it before, it came out perfect and I love it! I put mine cut side down and it took about 40 minutes to cook, yum, yum and more yum. Served it with grilled salmon. 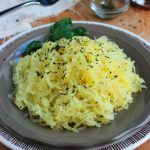 I’m loving spaghetti squash right now :) I have one in the fridge right now that I’m going to cook and have with some sloppy joes. We have 3 small ones ready to cook – cannot wait! I want to try something different with them this time. Do you have a go-to recipe that you like to make with them? Gonna try it again with my home garden grown marinara sauce next!